It’s a busy time of the year for UNCLE PETE. With Halloween fast approaching, he is in constant demand for interior (and exterior) decorating tips by literally some people who are preparing for gala Halloween parties. And what with the DARK VAULT complex having been featured in issues of Good Labkeeping and Better Vaults and Dungeons, UNCLE PETE is the guru pf gore for hosts and hostesses in the know. So with so much going on, UNCLE PETE has turned the hosting reins over to Azul de Vaca. Instead of heading into the DARK VAULT OF PUBLIC DOMAIN this week, we’ll be inviting you into THE DARK VAULT OF KUNG FU. We’ve dug up a gem from 1975 – Blind Fist Of Bruce. Our hero, played by Bruce Li, operates a financial institution and decides that it would be a good idea to learn Kung Fu to protect his interests. The problem is his teachers aren’t really Kung Fu Masters and train him in made up styles (sort of Fake Fu). After getting beat up and robbed and getting the hint that his Kung Fu is not so formidable, he is taken in by a very strict blind master who teaches him some real fightin’! Directed by Kam Bo, and also starring Simon Yuen, it’s Blind Fist Of Bruce. AN IN-DEMAND UNCLE PETE FINDS TIME TO BRING YOU AN UNCLE PETE CARTOON TREAT! But as busy as he is, UNCLE PETE still finds time to contribute a segment of Uncle Pete’s Cartoon Time featuring one of the original Fleischer Brother’s Superman cartoons from 1941. Azul also bring you an international taste test in his food segment (tips for your upcoming holiday fete perhaps? ), a whole basket of trailers and some tidbits of near knowledge that only Azul can come up with. 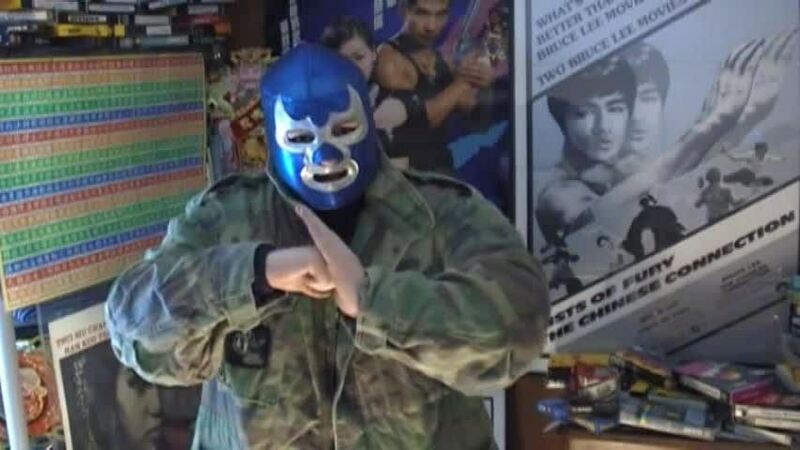 So join UNCLE PETE and this week’s guest host, Azul de Vaca, Saturday, October 13, 2012 at 10PM on channel 4 for a special presentation of THE DARK VAULT OF KUNG FU on the next DARK VAULT OF PUBLIC DOMAIN! ~ by UNCLE PETE on October 13, 2012.